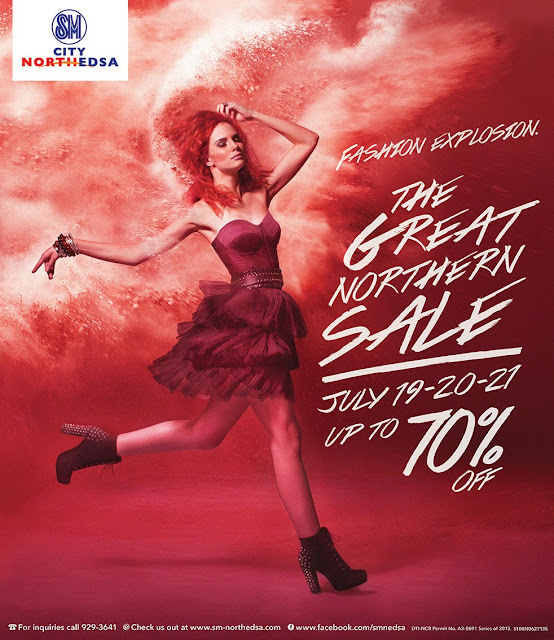 Up to 70% Off on The Great Northern Sale!!! For me, SALE is like a magic word. When you say sale, I automatically feel so energetic that nothing can't stop me from going to the mall and hoard! So when I learned that SM CITY NORTH EDSA is having THE GREAT NORTHERN SALE this coming weekend, (July 19-21) I instantly blocked my weekend! I will be going to SM North to experience a three day shopping extravaganza offering up to 70% off on exquisite fashion, dining and even tech treats; a complete lifestyle experience all under great value. I'm so excited to navigate into the retail jungle with countless fashion discounts, immerse myself in an array of dining selections and even have the chance to snag the latest gadgets that suit my lifestyle tastes. The Great Northern Sale from July 19 to 21 offers you all your most wanted finds within your most wanted price points! No doubt, there’s not a reason to miss such retail explosion. Because good deals never go out of style.